I have been crazy for holographic lately, and this new indie brand does it up right. I got this deep rose opaque in two coats. It did chip on me after a couple of days, but almost everything does. It was well worth the sparkle. 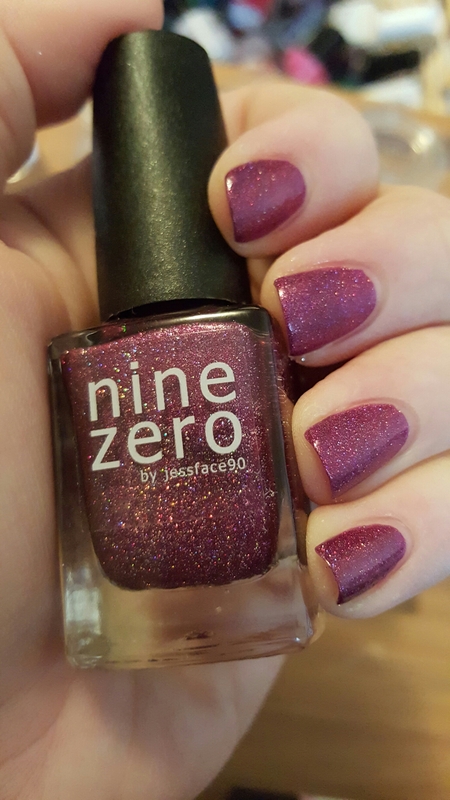 This entry was posted in Nail Polish Collection and tagged glitter, holographic, indie nail polish, nail polish, nine zero lacquer, pink, swatch, swatches on April 11, 2016 by Mel. 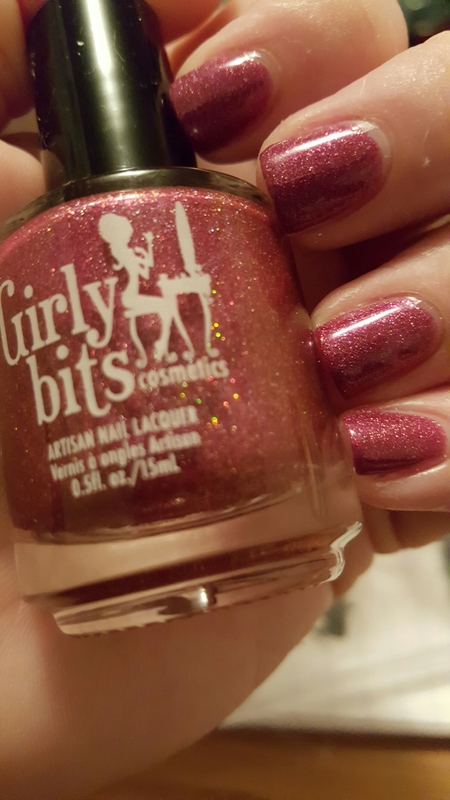 This one is another polish from a mystery pack. 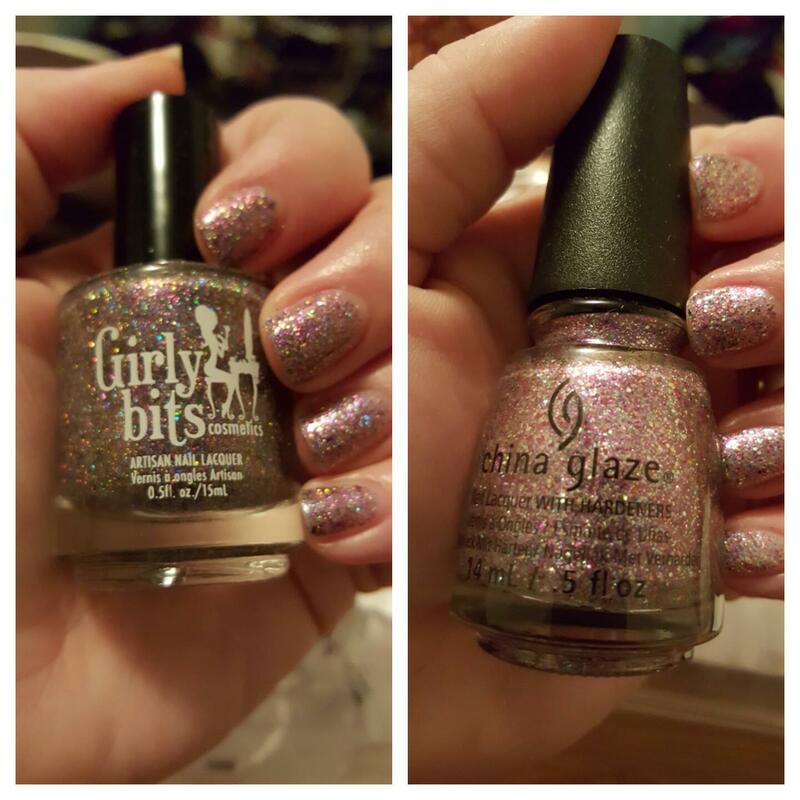 It’s a very pretty rose jam packed with holographic glitters. Best in 2 coats. 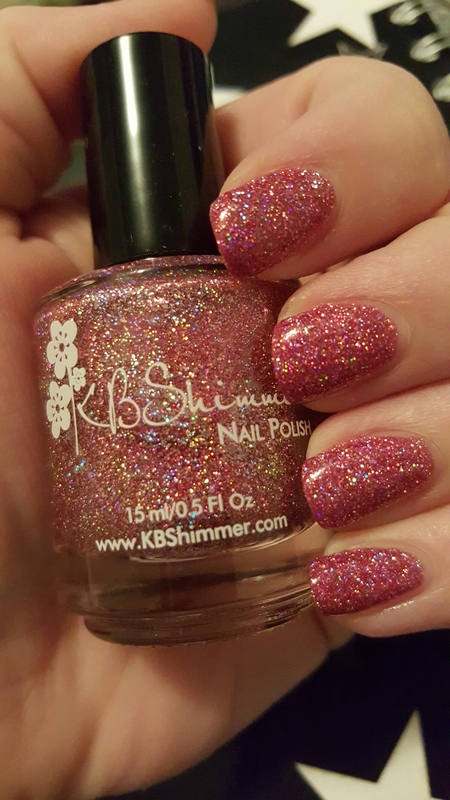 This entry was posted in Nail Polish Collection and tagged girlie bits, glitter, indie nail polish, indie polish, nail polish, pink, swatch, swatches on April 8, 2016 by Mel. Without flash & with flash. I have been moving away from mainstream polishes lately, but this one was actually fairly unique to my collection when I bought it. 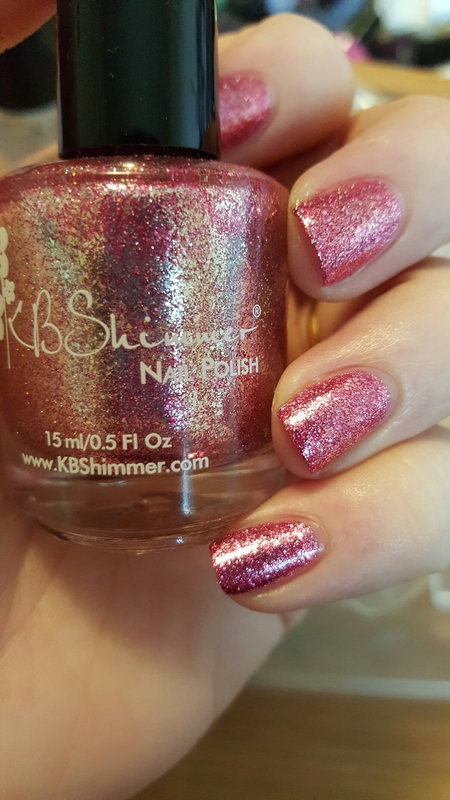 It’s another pink-based full-coverage glitter that’s opaque in 2-3 coats. 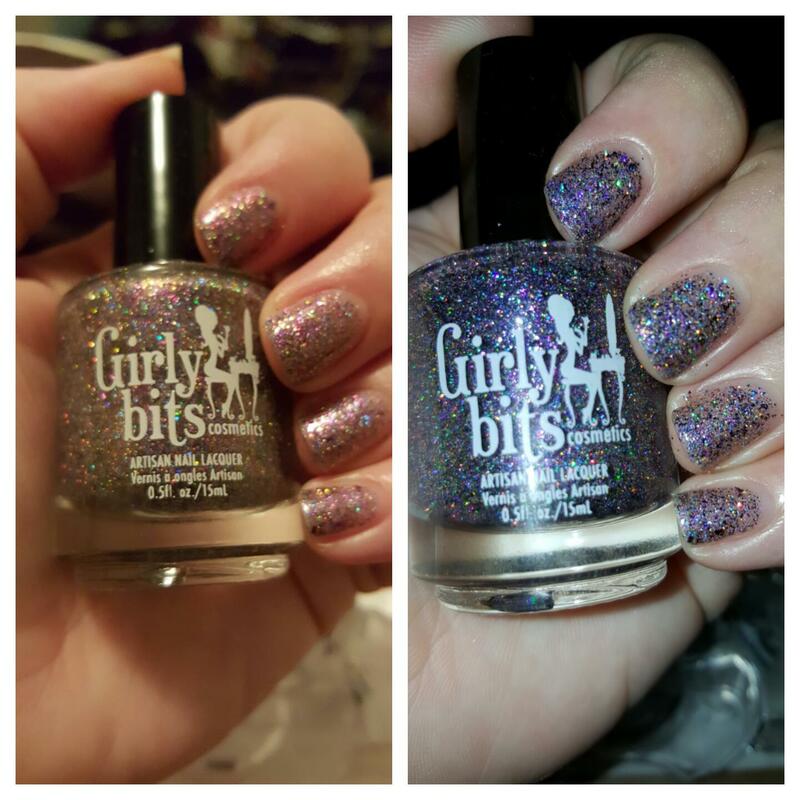 A few weeks after this one came in, I tried a few things from new-to-me indie brand, Girlie Bits and ended up with an accidental almost-dupe. As you can see, Witch, I’m Fabulous is a bit twinklier and holographier (which is totally a word!) than Ulta-violet, but on the nail they come off almost identical. 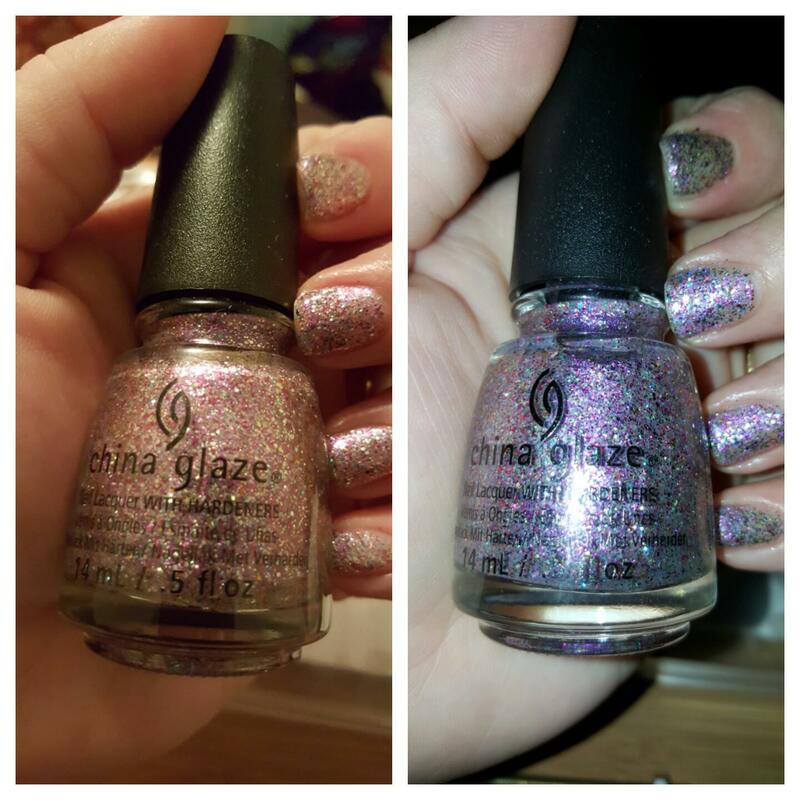 This entry was posted in Nail Polish Collection and tagged china glaze, dupe, dupes, duplicate, glitter, nail polish, pink, swatch, swatches on April 4, 2016 by Mel. This full-coverage glitter is a beauty. I see mostly pink and holographic glitters and, perhaps, some flakies. Pictured is two coats, but I will probably wear three. This was an indie holiday release, so it’s likely it isn’t available anymore. But there is an almost-dupe out there, which I will post about tomorrow! 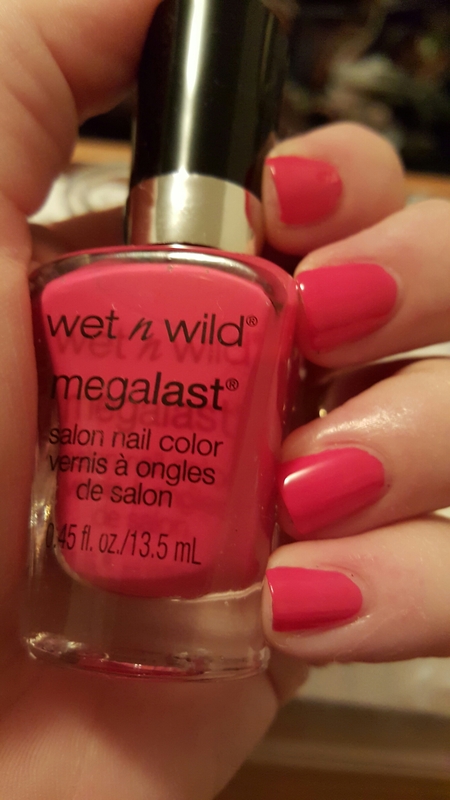 This entry was posted in Nail Polish Collection and tagged girlie bits, glitter, indie nail polish, indie polish, nail polish, pink, swatch, swatches on April 3, 2016 by Mel.